Well, this is it. 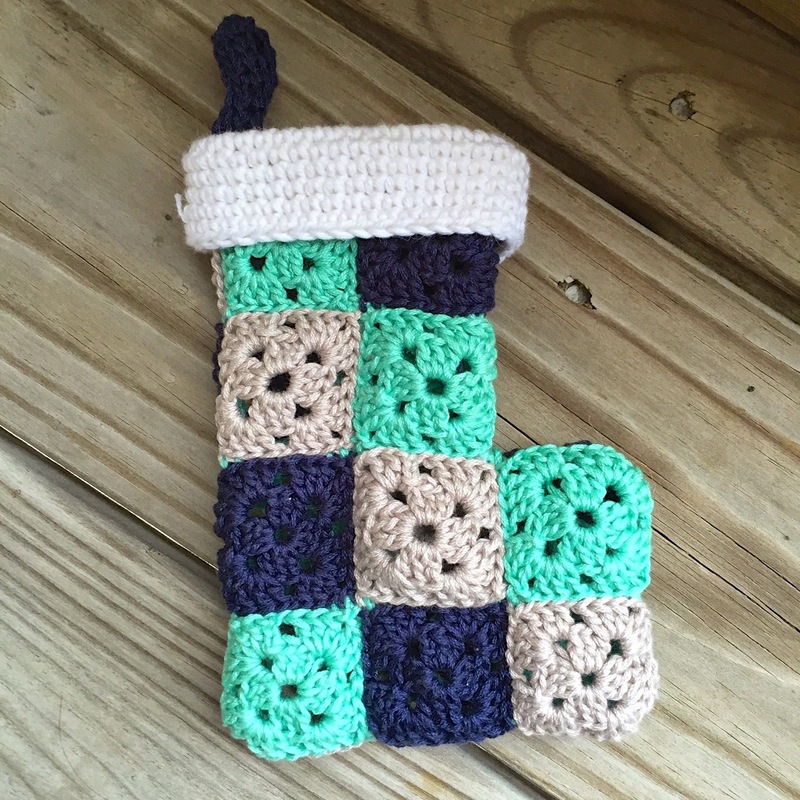 The last post in my 12 Crafts of Christmas series! I must admit, there were times during the past month when I wasn't sure I was going to actually make it to 12 crafts! Coming up with 12 blog-worthy crafts was a bit challenging, but it was so much fun! I thought I would wrap up the series with a project to remind us all of the reason we celebrate this time of year. It's not about presents or Christmas trees or 12 Christmas crafts. It's about remembering the birth of our Savior. It's about showing love to one another and spending time with family. Please don't get caught up in the rush of Christmastime and forget about what is really important this time of year. 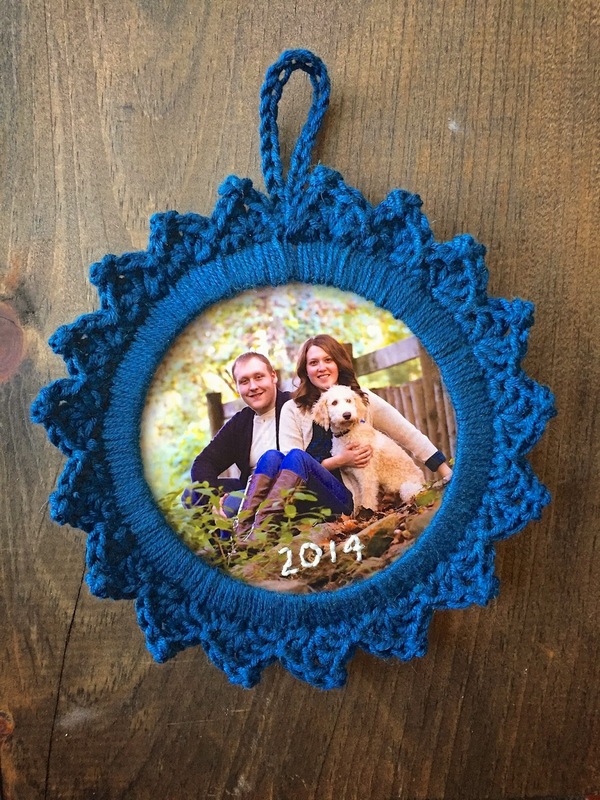 Whatever colors you decide to use, these ornaments work up very quickly and would make a great gift. 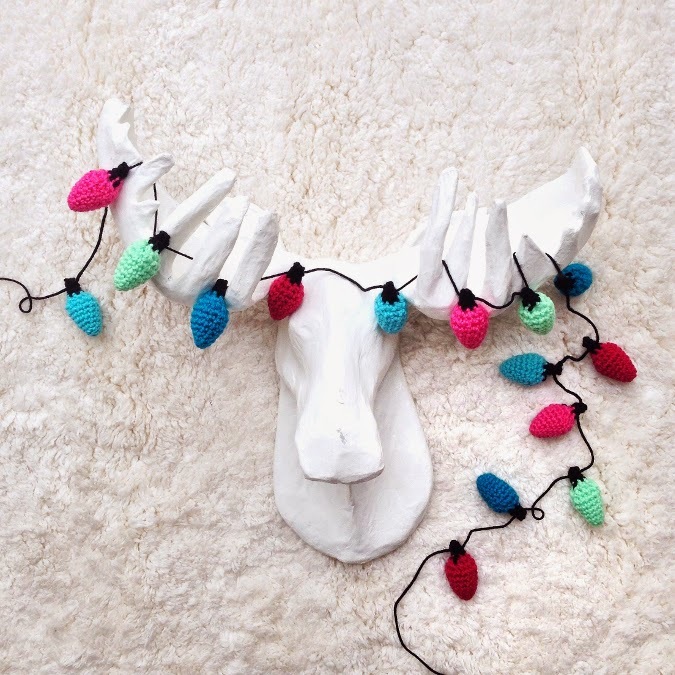 Since they only take a few minutes a piece, you could make a bunch of these guys in no time at all! 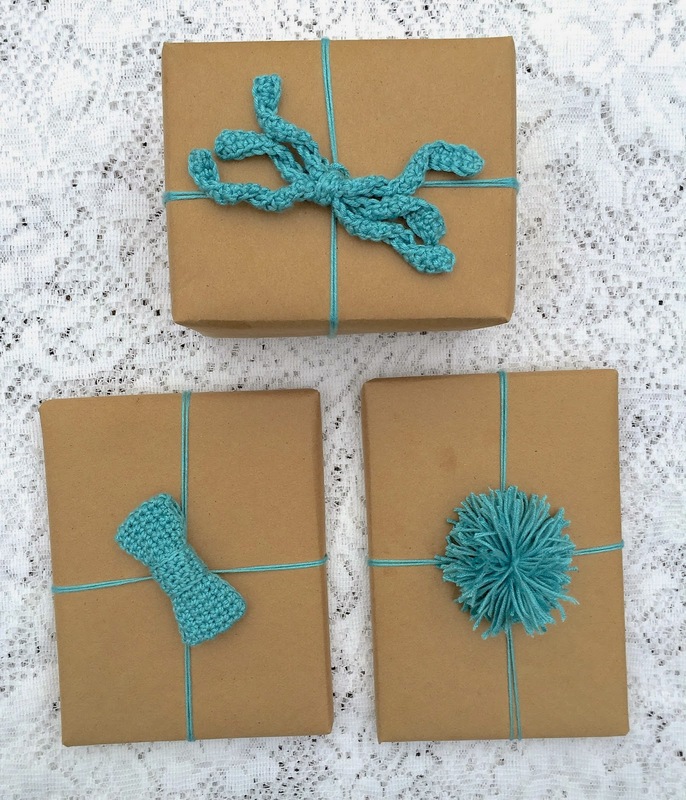 As you found out in my yarn-embellished gift wrap post, I love adding personal touches to gifts at Christmas-time. 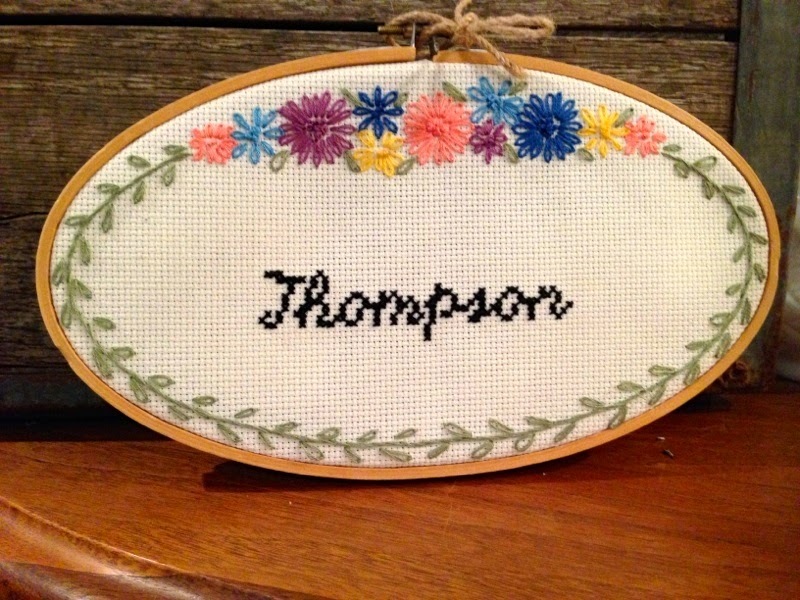 This cross-stitched gift tag is a quick and easy way to dress up your Christmas presents this year! 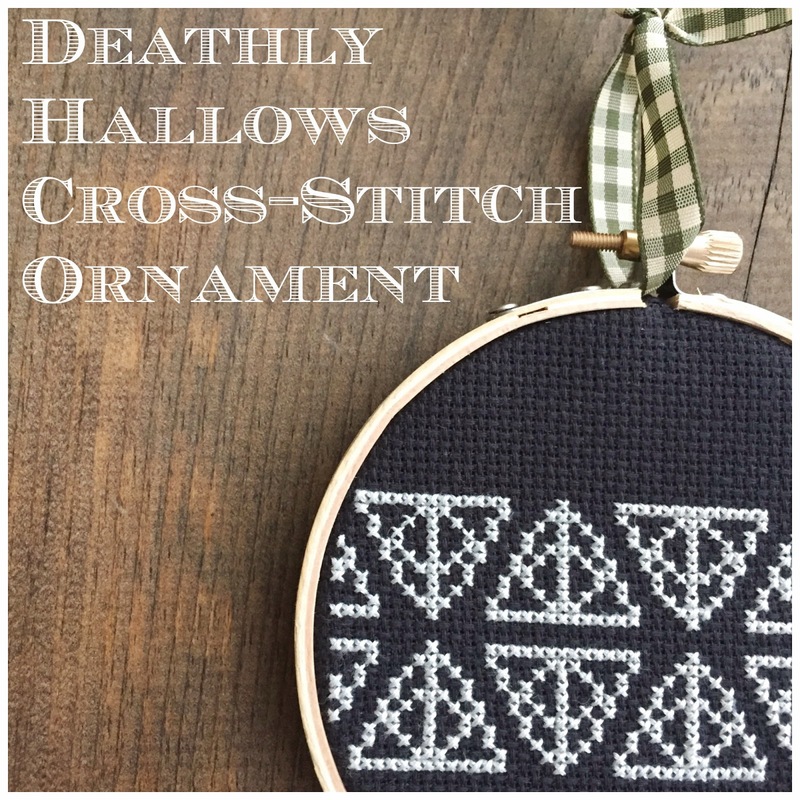 I love how the simple cross stitch design looks so special and unique on the paper! I always love adding personal touches to gifts whenever I can. These yarn embellishments were a quick and easy way to dress up and personalize my Christmas gifts. 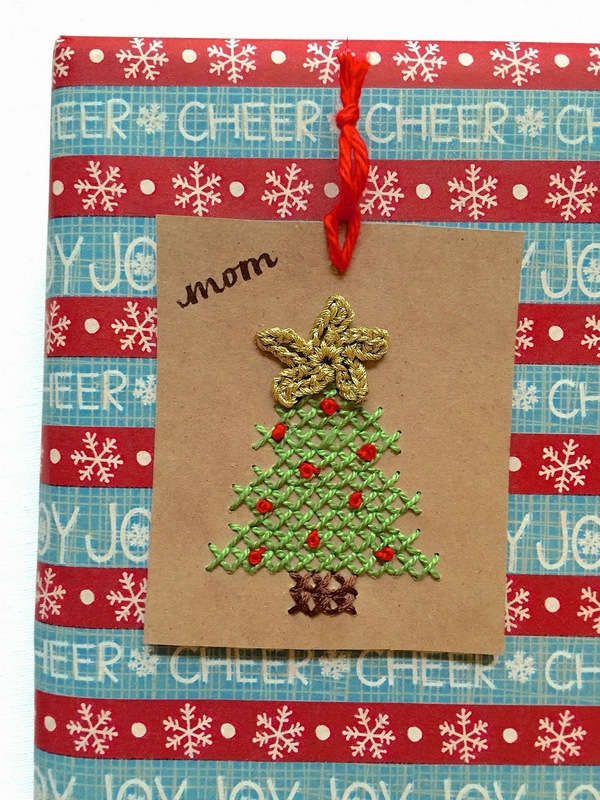 I love how just a little bit of yarn can make the plain brown paper so much more fun and festive! 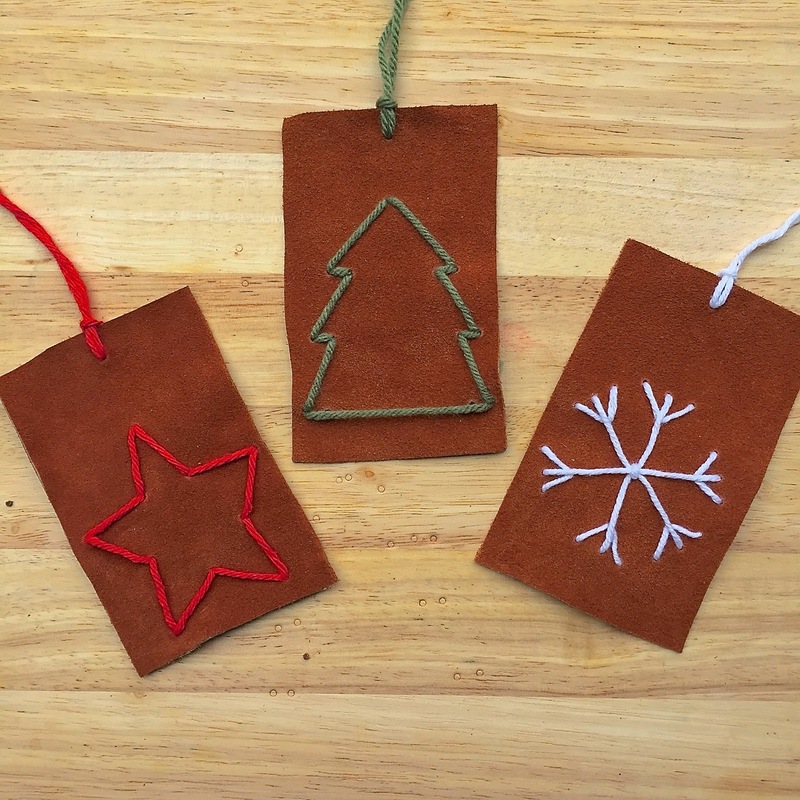 These yarn-embroidered leather ornaments are incredibly easy to make and I love how natural they look! 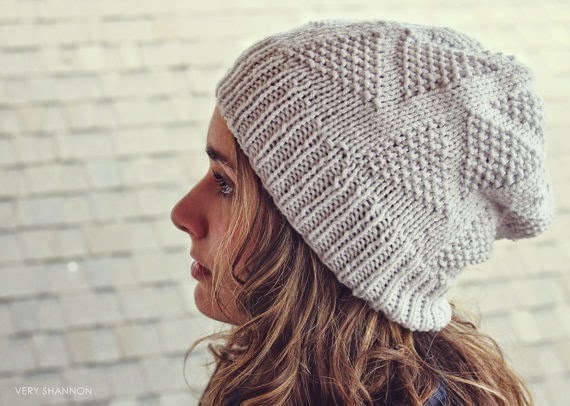 The combination of the natural leather and the craftiness of the yarn is so unique and special. I always love embroidering on things other than the typical cloth and embroidery hoop. 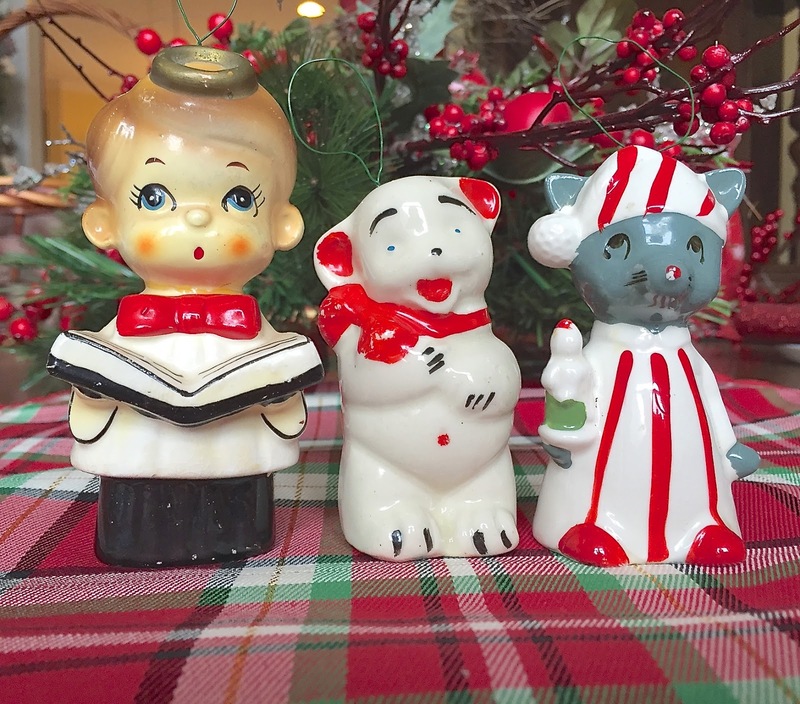 For several years now, my mom and I have been turning vintage salt and pepper shakers into Christmas ornaments. 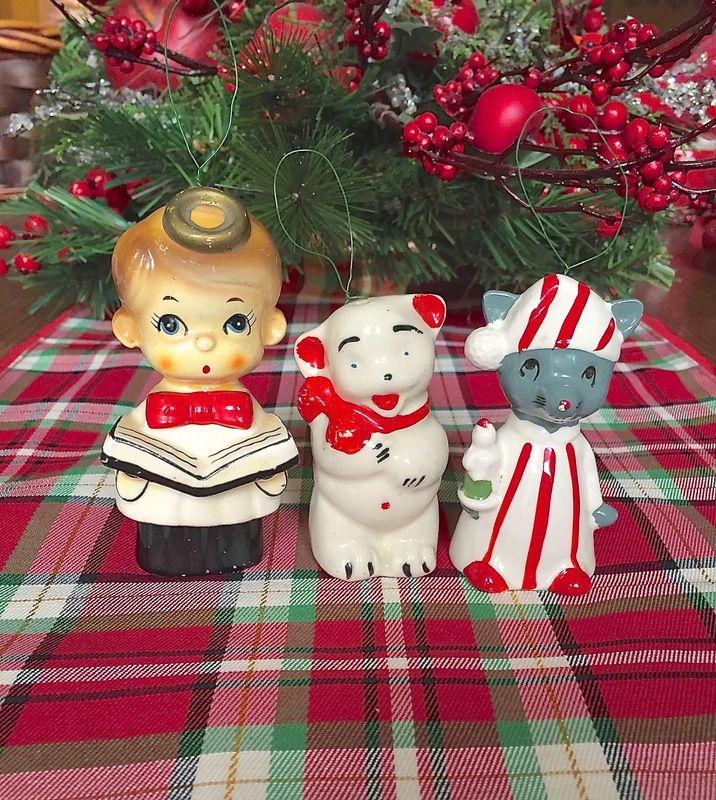 We collect them throughout the year from antiques stores and flea markets and then turn them into ornaments at Christmas time. They are always my favorite ornaments on the tree! I love the vintage touch they add. - Take off the plugs at the bottom of the shakers and make sure there's not any salt or pepper left inside. - Stick the two ends of your wire through two of the holes at the top of the shaker. - Pull the ends through the hole at the bottom. 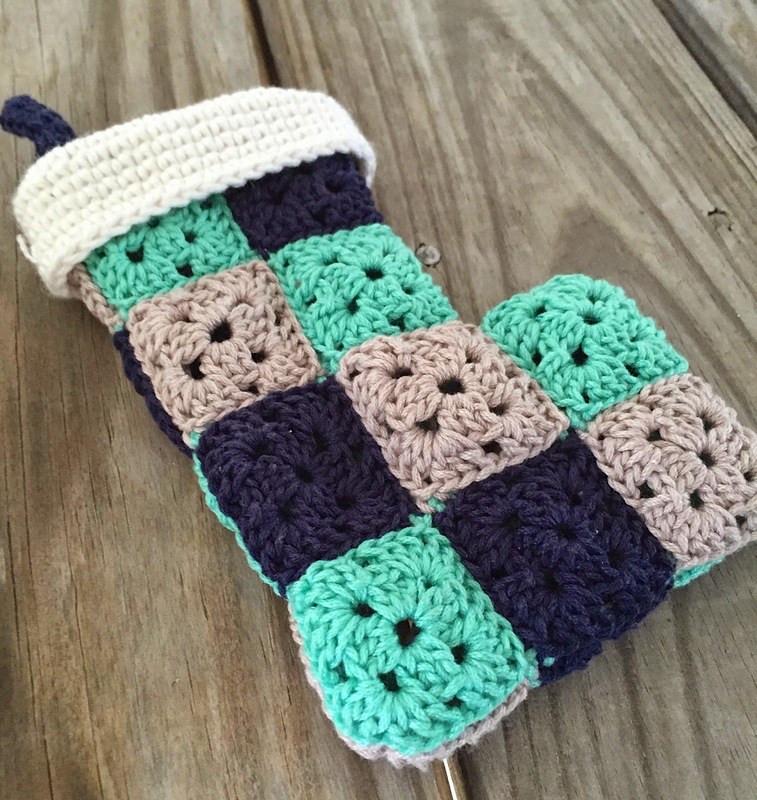 It may be helpful to use a crochet hook to pull the ends through, but it isn't necessary. - Twist the ends together several times. - Hide your ends inside the shaker and put the plug back in. - Pull up on your wire loop and twist it a few times at the top of the shaker. 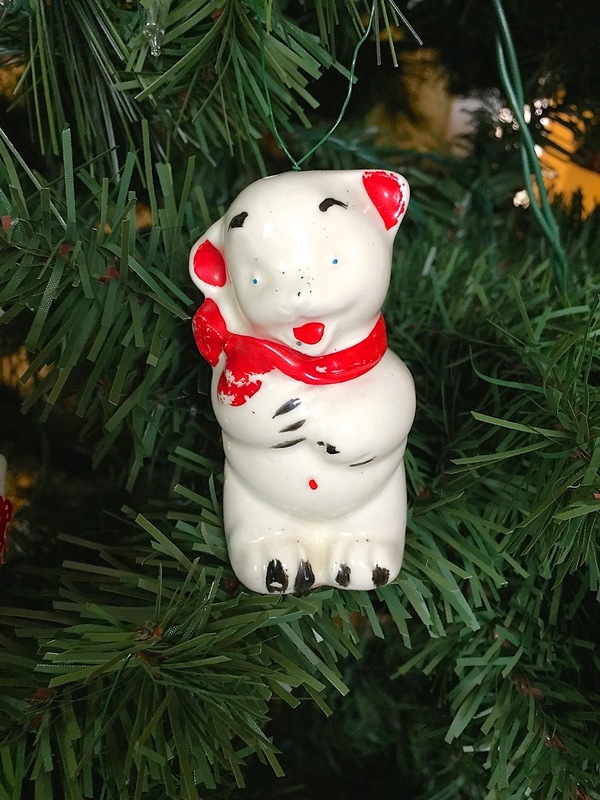 - Hang your vintage ornament on the tree! I've never been a fan of the generic cards you can pick up at the store. Whenever I can, I always prefer to make my own cards. It's so much more personal that way. 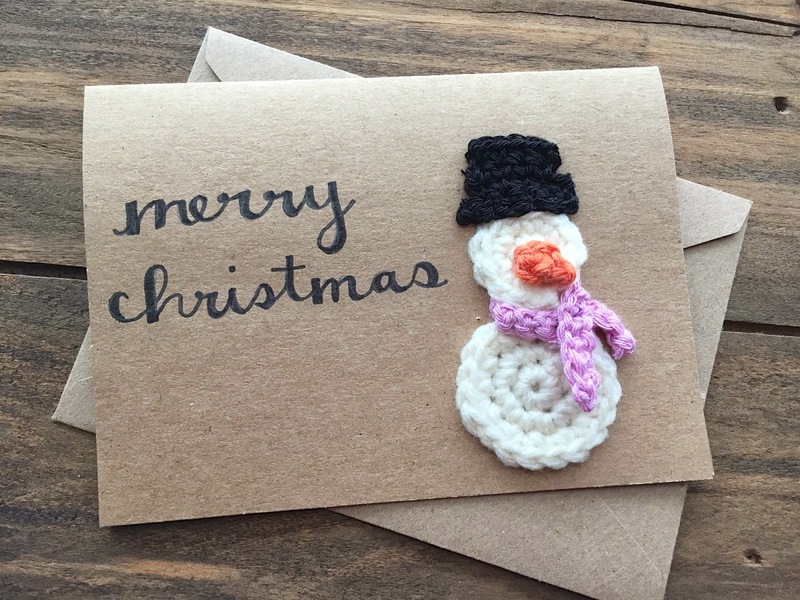 This crocheted snowman card is a great way to send a personal touch to your friends and family this year! I can't wait to make up a few more of these and give them out this Christmas! I realize that I'm jumping the gun a little bit here. It's not even Thanksgiving yet. But... it's never too early to start on some Christmas crafts, right?? 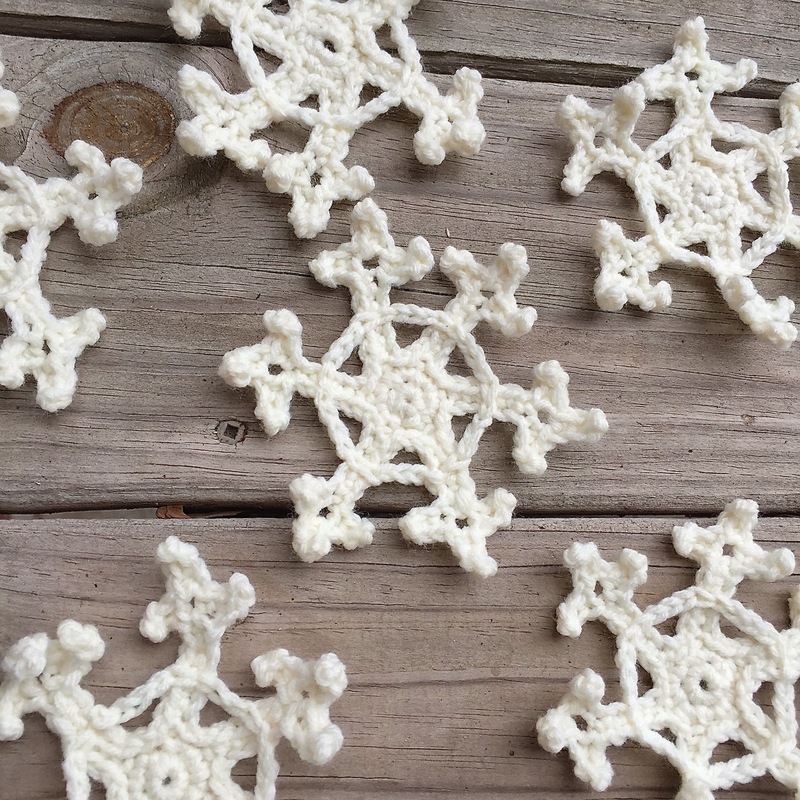 My goal this year is to share twelve crafty Christmas projects here on the blog between now and Christmas Eve. I've got some really cool ideas that I cannot wait to share! 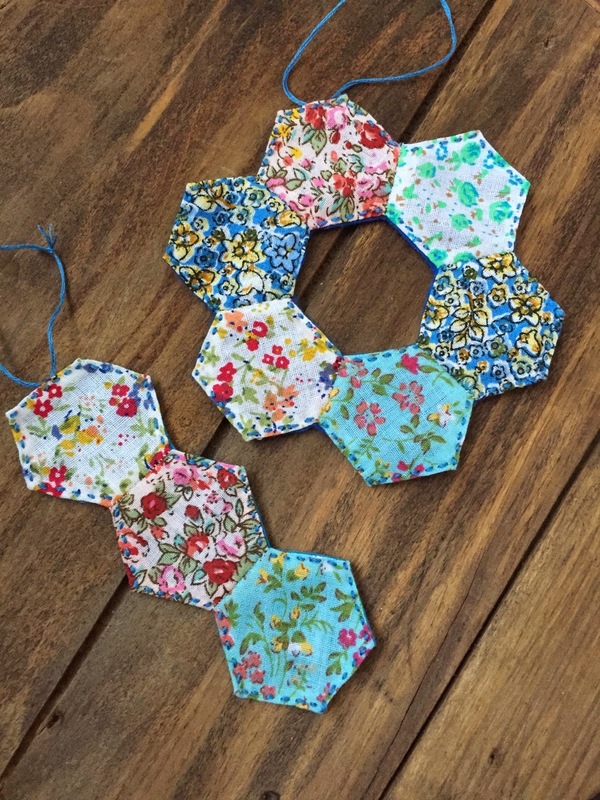 My first Christmas craft is these lovely hexagon ornaments! Aren't they cute?? 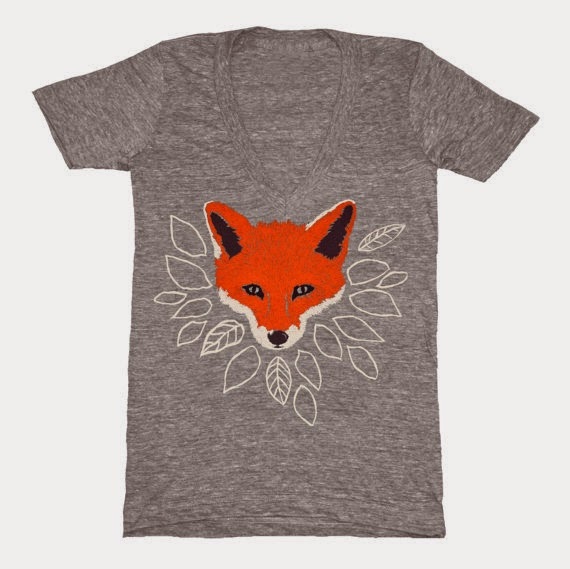 The best part is, you only need very basic hand-sewing skills to be able to make them. I was really surprised how easy they turned out to be! 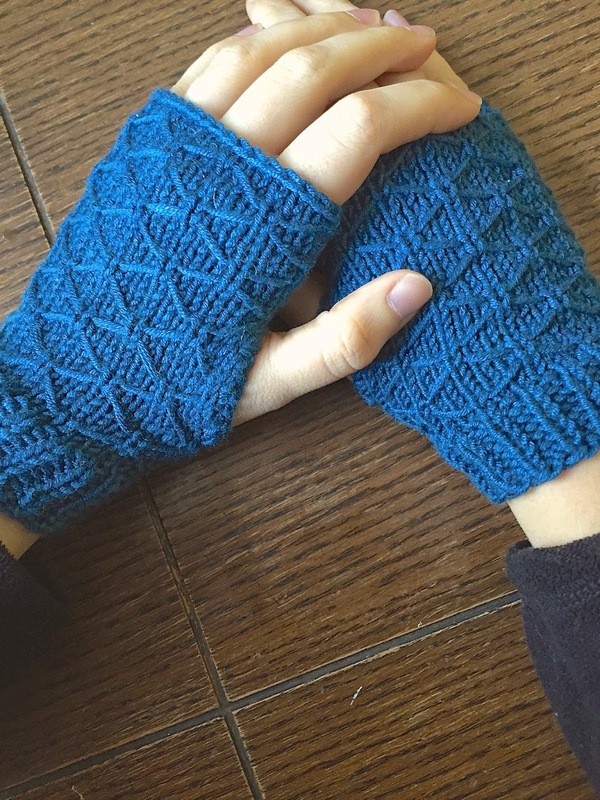 These knit wrist-warmers have been on my needles for quite some time now and I'm thrilled that they are finally done. They actually work up really quickly, but I've just been SO busy lately! Grad school will do that to you I guess. Anyways, I'm really loving the texture of these! And I love that they are so much easier than they look! 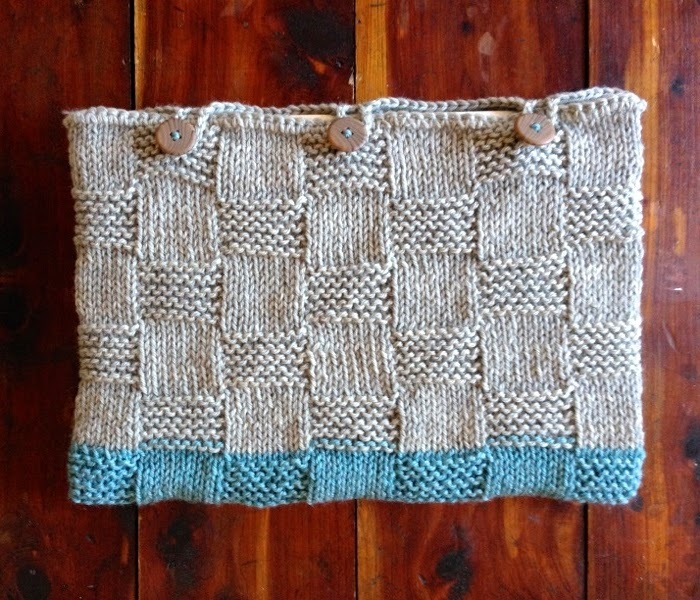 If you can knit, purl, and slip, you will breeze through this pattern! This book could not have come at a better time. I preordered it a few months ago, and it just came in this week. This lovely little package waiting in my mailbox was exactly what I needed! Thesis-writing has had me pulling my hair out for weeks now. Overwhelmed has become a good word to describe my life. I was able to take a break for a few hours this weekend to make this lovely little ombre basket. I felt so much more relaxed afterwards! Isn't it amazing how yarn can have that effect on you?? 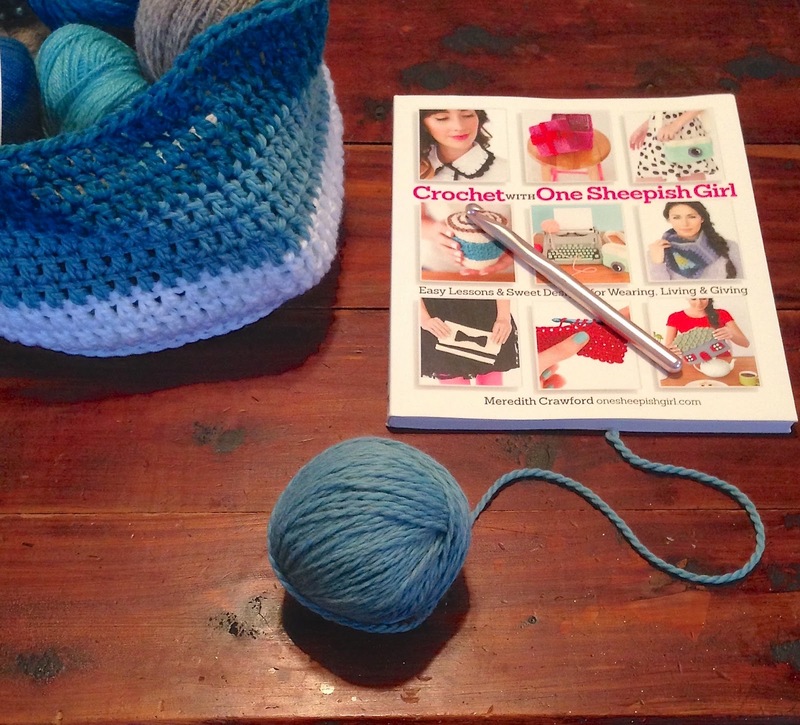 Crochet with One Sheepish Girl by Meredith Crawford is pretty much amazing. I've read her blog for years and have always been inspired by her style. When I found out she was writing a book, I was ecstatic! 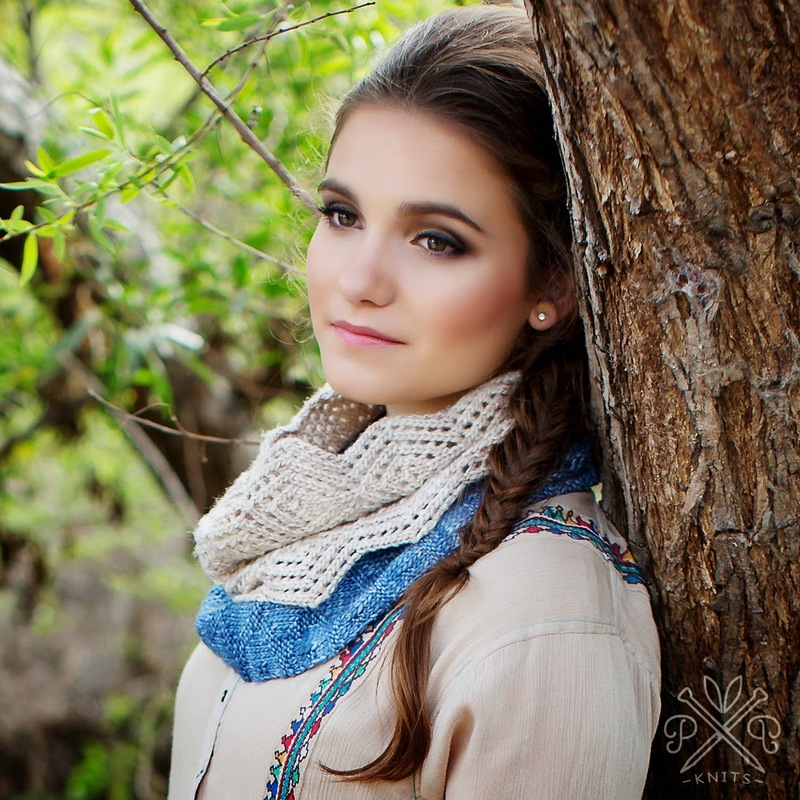 All of the patterns in the book are bright and fun and perfect for some weekend crafting! Well... It's time for me to get back to writing my thesis. (Chapter one is due today.... EEK!) Hopefully, I'll be able to come up for air in a week or so and have some crafty fun to share with you! 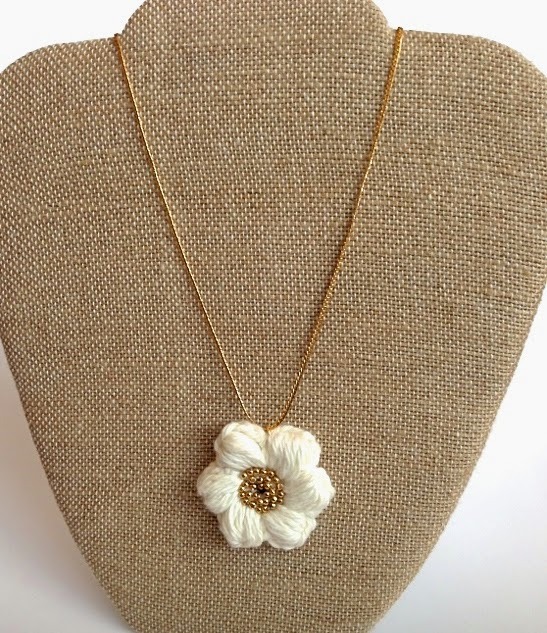 I'm kind of in love with this crochet flower necklace. The idea came to me out of nowhere. I usually spend a lot of time planning and thinking about projects. But yesterday as I was getting ready for work, I thought, "Hey... I wonder what that would look like...." Thirty minutes later, I had this little beauty hanging around my neck and I was off to the library. :) I hope you like it as much as I do! 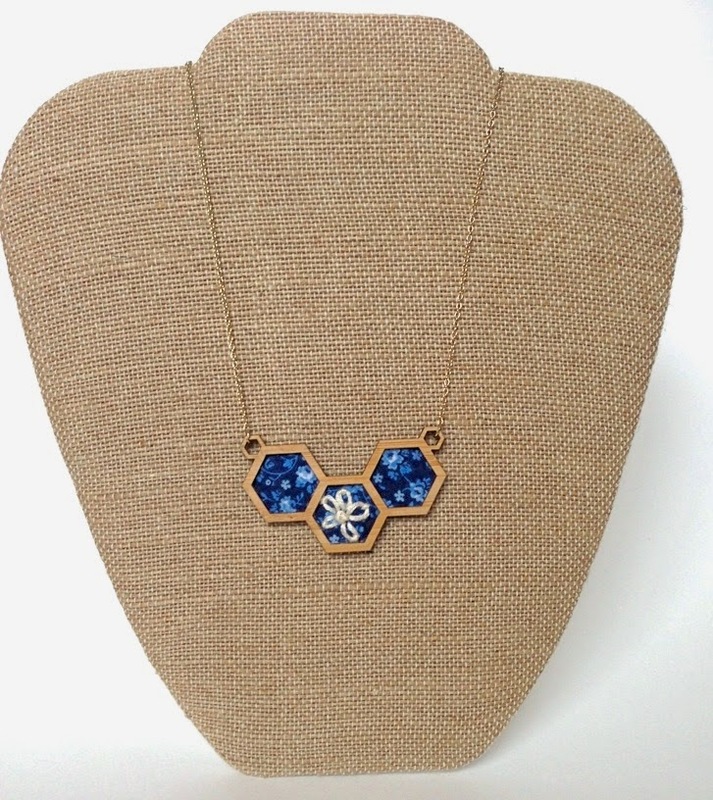 I like two kinds of jewelry: vintage jewelry and handmade jewelry. Most of my jewelry comes from antique or thrift stores, but I'm always on the lookout for pieces I could make myself. There's just something about a unique piece of jewelry that makes me so very happy. :) I like knowing that what I'm wearing is different and that nobody else is going to be wearing the same thing. This semester, I am taking a course in young adult literature. I'm really quite excited about it. So many great books! :) We are going to be reading eleven books this semester in a 15-week time period. Meaning I am going to be reading A LOT. Like a lot a lot. Since one of my biggest pet peeves is folded over book pages, I decided I needed to make a couple really nice bookmarks to get me through this semester. 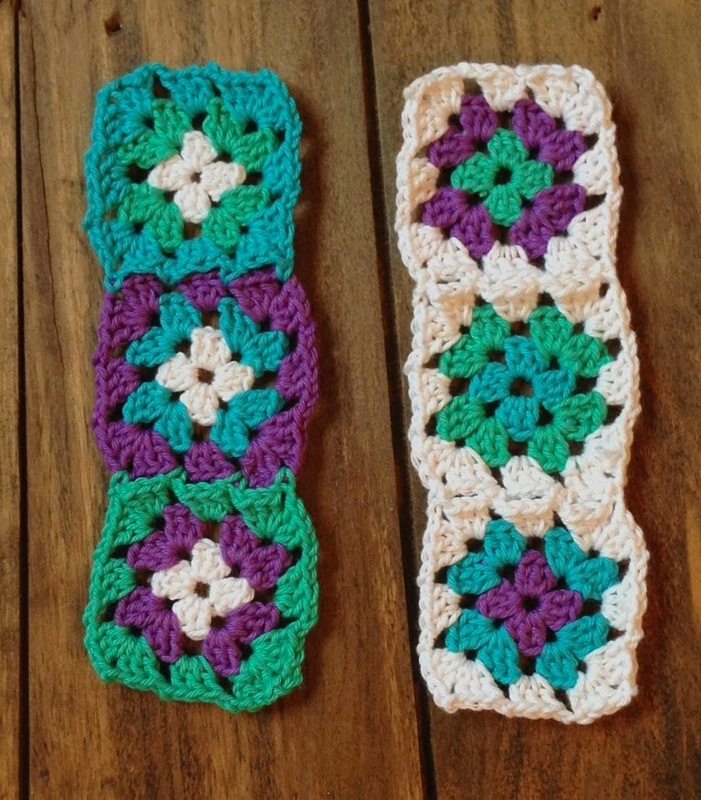 These bookmarks are incredibly easy and a great project for beginning crocheters. I think each bookmark took me roughly thirty minutes to complete. So you could easily get these guys finished in one sitting. Ages and ages and ages ago, I bought these really wonderful boxes at an estate sale and immediately began imagining what they would look like if the tops were cross stitched. I was sooooo excited about these, but then, unfortunately, they did not get finished for a very, very long time. (Like most of my crafty endeavors lately.) After almost a year of just chilling out at my apartment, I finally finished the last box about a week ago! It felt so good to finish an embroidery project because it has been way too long since my last one! I haven't decided what each of the boxes will be used for (the tea box will probably hold tea), but I can't wait to put them to good use and see how pretty they look around my apartment!